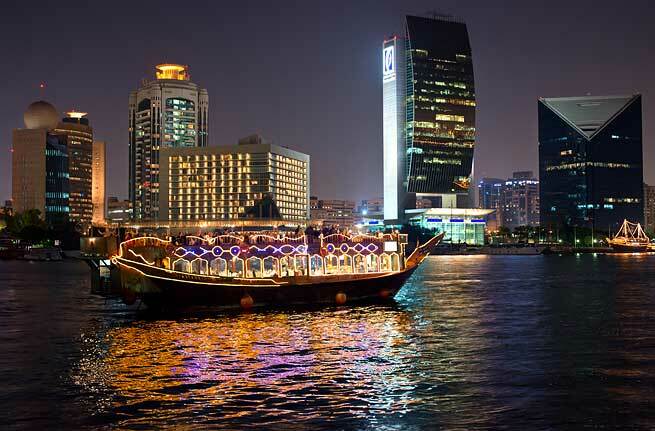 Immerse yourself into the charm and romance of Dubai by taking an evening dhow cruise. The traditional wooden boat called the dhow, will take you on a magical journey through the city and its history. Watch the shimmering lights of the city reflect in the waters as you slowly cruise along the Creek or the iconic Marina. A dhow cruise at the Dubai Creek will allow you to explore the old and more historic face of Dubai as you see old building and trade boats filled with different goods. For a glitz and glam version of the city, a dhow cruise down the popular Dubai Marina will open sights to iconic skyscrapers lighting the night sky, long stretches of cafés and luxury yachts berthing close by. Overseeing beautiful views in serene settings of the wooden dhow, you get to enjoy a sumptuous buffet dinner and live entertainment. Besides being a great way to spend an evening, a dhow cruise is also a chance to get a little closer to the local culture. Dhows have been used for sailing and trading for years and are a big part of the Emirati culture. So whether you want to have a romantic dinner with your partner, a fun gathering with your friends, or an explore tour of Dubai — a dhow cruise will provide you with a beautiful atmosphere and picture-perfect settings! 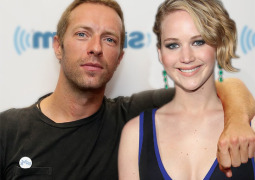 Jen Lawrence, Chris Martin dating?